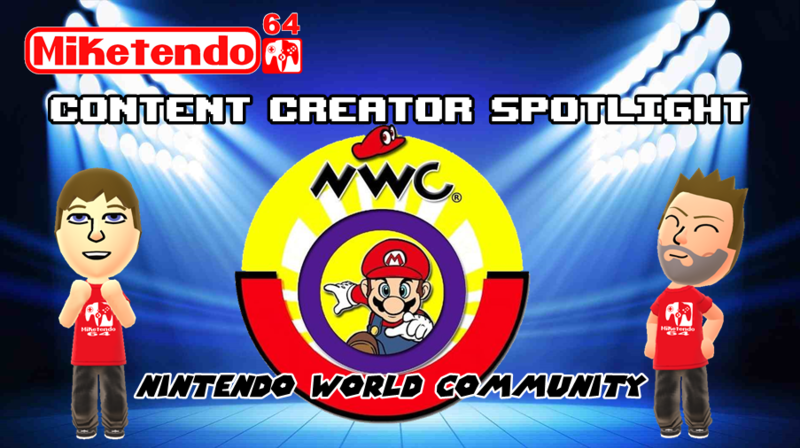 We at Miketendo64 are going to be kicking off a new feature in which we shine the spotlight on other Nintendo Content Creators. Whether it is a blog, YouTube Channel or even an Instagram account. Our new feature is designed to help fellow Content Creators get noticed and share their incredible content with the rest of the world. First up is Joshua of Nintendo World Community. We have a little introduction from him and what he does on his YouTube Channel. Hello, my name is Joshua and I run Nintendo World Community on Youtube. I do all things Nintendo and Nintendo Switch and I hope people will come and check out my channel. My main goal is to make people happy and give them info on Nintendo Products and more. We also do contests and more, so please come and check us out and subscribe to our channel if you like what you see. Thank you very much for checking me out and here is a link to our channel and our newest video. Thank you very much for participating in our new Content Creator Spotlight feature Joshua. If you would like to feature in our Content Creator Spotlight, be sure to send us an email at: contact@miketendo64.com and title the subject bar as Content Creator Spotlight. You can also drop us a DM on Twitter at @miketendo64.